Found from Alaska south to Oregon, northern United States and western mountainous states. Endangered in Indiana and Pennsylvania. Found in middle to high elevations in temperate climates. 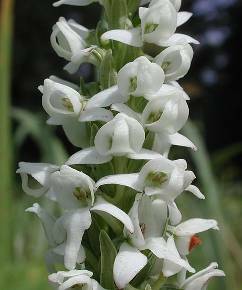 Found in wet to boggy ground, swamps, marshes, wet meadows, moist seepage slopes, along stream edges in sub-alpine meadows and swampy coniferous forests. Reportedly has a symbiotic relationship with a soil-inhabiting fungus. in autumn or from gathered seeds. Endangered or threatened in some states. Collecting seeds is encouraged instead of digging up these threatened plants. If collecting seeds or plants in national parks or forest, please refer to their guidelines for gathering and removing plant materials. It is recommended that seeds are surface sown in the fall in a greenhouse. This plant grows best in saturated peat or heavy, wet fertile soil. Prefers acidic to mildly acidic soil. Reportedly has a symbiotic relationship with a soil-inhabiting fungus. Grow with soil from nearby established plants or direct sow around established plants to better make use of this fungus. Reported as difficult to grow. Edible, medicinal and useful plants for a healthier world. 26 April 26, 2006. Plants for a future. 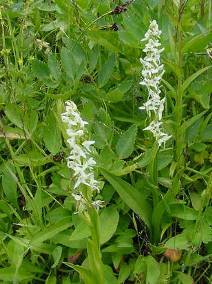 <http://www.pfaf.org/database/plants.php?Platanthera+dilatata>. Dave’s Garden, Plant Files. 26 April 2006. <http://davesgarden.com/pf/go/64846/index.html>. Plants Profile. 26 April 2006. USDA Natural Resources Conservation Service. <http://plants.usda.gov/java/profile?symbol=PLDI3>.